After Venya's mother receives a call from school reporting her son's refusal to participate in mixed swimming lessons, she first suspects her teenager of being shy and derides his claim that it is "against his religion." As Venya is finally exempted by the school's devout principal, he grows confident that his strict and rigorous study of the Bible gives him the ability to manipulate all forms of authority. Challenged by a teacher who refuses to consent to his dogma, he sets out to eliminate her and subdue an entire community. At a time when arguments over the teaching of religion in public schools are prominent in the media, this wildly escalating classroom drama - based on a play by German playwright Marius von Mayenburg - serves as a frightening cautionary tale. 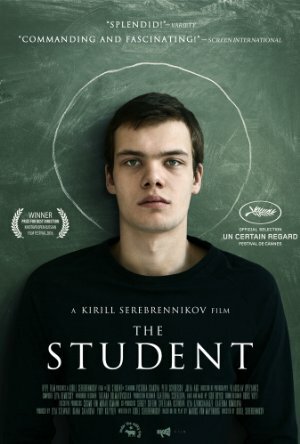 The student uses the story of a deep teenage crisis as a metaphor for telling how religious fanaticism creeps into society and uses the faith as an excuse and justification to claim privileges and to take advantage of other people, especially the weaker ones. A society that often, instead of revealing the fanatic and reacting, lets himself be fooled and even comes to defend the fanatic from those who can identify him and try to stop him. The movie is quite simple but it perfectly hits the target.